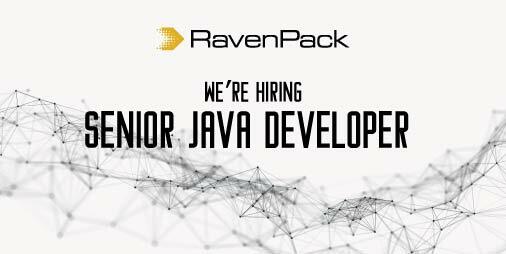 In RavenPack we are searching for a Senior Java Developer to join RavenPack’s Development Team. As a Senior Java Developer, you will be working with the latest Java versions and frameworks to design and implement maintainable software in Java. You will join our Content Management team and focus on driving our Java based applications forward. You will be reporting directly to the Content Manager in an international team of developers skilled in Java, Common Lisp, Python and SQL. As Senior Java Developer, you will be developing and improving backend applications specialized on content collection and integration in highly scalable cloud computing environments. Researching to find innovative solutions to software problems. Contributing in the design of the new features and solutions. Taking care of your own area of responsibility with the support of your team. +3 years of hands-on experience with Java architecture, design and development. +3 years of professional experience working with Spring. +3 years working with relational and NoSql databases. A deep understanding of Java language in multithreaded applications. Ability to work successfully in a small team environment, with a willingness to teach and to learn. Ability to work with a high degree of independence. In cloud computing or equivalent knowledge. On Docker or equivalent knowledge. With Amazon Web Services (AWS). With Camel or similar integration frameworks.